The new RefWorks is a reference management service that supports the needs of students and faculty. 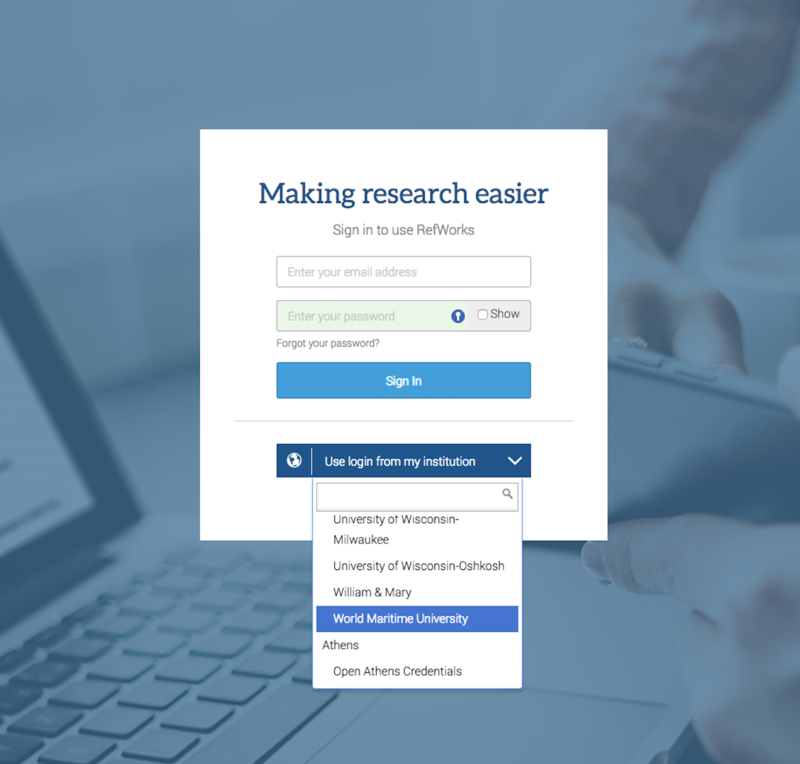 With an improved user experience, full-text management and collaboration features, RefWorks is a tool that enables a more efficient and reliable process for producing research papers. You may create an account by going to: http://refworks.proquest.com and choosing World Maritime University (as shown in screen shot below). Then follow the instructions on the screen. When you first sign up, RefWorks will guide you through a simple onboarding process. Clear and simple steps show all users how to install the “Save to RefWorks” button (web capture) and how to download and install Write-n-Cite for MS Word or Google Docs Add-on.